Industrial Supply World – Know more About Industry Supply's World. To produce quality springs, please choose SIMCO spring making machines. Founded in 1980, SIMCO Spring Machinery Company has been the leading enterprise in spring machine over two decades. For its excellent services, reasonable pricing and high performance, SIMCO has won wide recognition and enjoyed worldwide distribution to America, Europe, Australia, South-East Asia and mainland China, selling more than 2000 machines to hundreds of customers. If you have interest or requirement of spring making machines, welcome to check out SIMCO website and find the machinery you need. Today, contact with SIMCO for more information! Established in 1984, Sucoot Co., Ltd. specializes in industrial scaffolding accessories & formwork parts. Their industrial scaffolding products are engineered for safety, strength and flexibility to meet international standards within this industrial scaffolding industry, which are important for structural engineers, scaffolding factories and formwork specialists. Where Can Sucoot Scaffold and Formwork Parts Apply? Sucoot only provides customers best quality base beam, top beam, and much more formwork parts. In terms of working processes, Sucoot has expertise in iron casting, steel forging and thread rolling. They are confident that their quality is on par with other world-leading brands. Especially their Ring System Scaffold, it has been widely used in many civil engineering projects, such as high speed rail, freeway, elevated railway, subway, high-tech factories, and music concert, and event application, etc. Sucoot scaffold and formwork parts can be used in many civil engineering projects. Sucoot has exported their system to Thailand, Singapore, Philippines, Malaysia, Dubai, Israel, South Africa, Spain, Viet Nam, Indonesia, Russia, and Colombia. They successfully make use of their experience and the techniques into local civil engineering projects. In 2008, Sucoot developed a lighter Ring System for facade application use such as petrochemical, energy, manufacturing and wall refurbishment. It has gained many great reviews from clients and end users. They were also honor to have the chance in association with Oscar best director, Ang Lee, assisting to create the movie scene with our Ring System Scaffold. With Sucoot’s technical knowledge, ready-to-ship inventory and full-service solution, they are able to serve customers with confidence and enthusiasm. If you have requirement or need more information of scaffolding and formwork parts, no hesitation, contact with Sucoot formwork supplier for more details! Paper carton erecting machine is an ideal choice to produce disposable snack boxes, hamburger boxes etc. Win Shine Machinery Co., Ltd. is a paper food packaging containers making machines manufacturer with years of vast experience and expertise. They develop and customize a series of lunch box making machines to meet customers’ requirements. If you need to manufacture paper snack boxes or hamburger boxes, I will recommend you consider Win Shine’s Carton Erecting Machine as reference. Win Shine Carton Erecting Machine is a special forming machine to produce burger box, one block box, food pail box (Togo box), French fires box and so on containers made by cardboard paper and corrugated paper. Cardboard paper one side PE coated paper (200~600GSM), or corrugated paper with maximum thickness 1.5MM. PS: Also can produce containers made by aluminum foiled paper, 2PE or 1PE coated paper with hot gluing system. Ability of producing different products by the same machine. Shortage changing mold’s time. Easy changing mold. Finished products are collected, stacked, and counted automatically. A carton erecting machine is a worthy investment, provided you take appropriate care of it over the years. A reliable machine fit for a long service life. Now, if you have interest or requirement of carton erecting machine, no hesitation, send inquiry or contact with Win Shine Machinery Co., Ltd. for more details! As the well-known piston pump manufacturer in the industry, Propiston Hydraulics provides various quality hydraulic piston pump, hydraulic valves, and hydraulic parts for customers. Based upon excellent technical expertise as well as constant breakthroughs and innovation as business indicators, PROPISTON Hydraulics Co., Ltd. since its inception in 1979, it experiences decades of hard working and long-term commitment to R&D capabilities to enhance its advantage. Not only has a forward-looking corporate vision, but also lay on “professional” and “complete” leading competitiveness and leading enterprise constitution. Commitment to product development and improvement, PROPISTON mainly manufactures hydraulic piston pump, various hydraulic valves, and hydraulic parts. In the end of 2001, facing company rapid growth and growing scale, PROPISTON expands new factory with 1,600 square meters in Dali District, Taichung City for a larger scale of production line to solid PROPISTON corporate performance. Fully use the advantages of R&D, non-stop ongoing business process reengineering and product innovation. PROPISTON fully devotes to raise the level of quality. From procurement, production, processing and assembly to finished products, they implement profession and expertise in quality policy for every aspect. 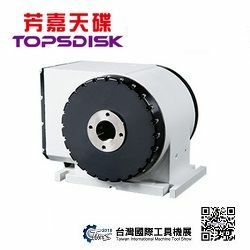 Introduce advanced quality testing equipment, including coordinate measurement machine, projector, Rockwell hardness tester, surface roughness machine, and true roundness machine, enable PROPISTON to greatly enhance quality deeply and broadly, and continue towards the top goal; with rigorous and far-reaching quality strategy and perseverance, PROPISTON pass strict “ISO-9001 2000” international quality certification and adhere to the principle of ” pursuit of excellence, technological innovation,”. With all PROPISTON staff focus on quality beyond the sense of mission, they lead sustainable and sophisticated product quality towards a global benchmark. All of their staff adheres to the quality policy and to ultimate link on each process. Through decision-making meeting, they plan efficient process and set production indicator to precisely control the quality and delivery. Their products exceed international standards in both quality and performance. Full range of products includes hydraulic piston pumps, electro-hydraulic controls, pressure control series, flow control series, directional valves, modular valves, logic valves, and etc. With strong and solid reliability and excellent performance, PROPISTON brand image has earned a high evaluation from global customers. To get more information of hydraulic piston pump or other products, welcome to check out their website and feel free to contact with Propiston Hydraulics for more details! Daina Electronics Co., Ltd. was founded in 1989. In Taiwan LED packaging industry, DAINA as the leading LED manufacturer provides a variety of LED products, which can be used in many fields, including information board, traffic lights, automobile lighting, liquid crystal backlight, and special lighting. DAINA Electronics, which passed the standard certificated of ISO9001:2008, having established a network of global sales offices and distributors to offer technical assistance, sales support, and express shipping. At present Taiwan’s machine tool manufacturers are generally applying the finite element analysis method to product design, which increases the machining accuracy and the reliability of machine tools. 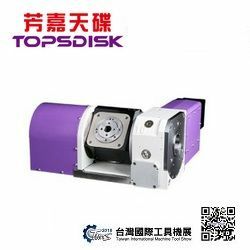 Moreover, in response to the needs of the end manufacturing industry, they have also integrated different processing functions and crafting technologies on the basis of the mechanical structure of CNC machine tools to develop multi-axis products with the composite technology. In addition, Taiwan’s machine tools can ensure the quality of the workpiece and the operation life of the machine by timely monitoring of key components and further reach the optimal status of the machining procedures by using timely monitoring of the manufacturing process, and the adaptive adjustment technology of the processing parameters. Taiwan’s machine tool industry possesses the technology of integrating robotic arms and machine tools, which can apply the proprietary technology of equipment manufacturing, and master the state of the art manufacturing of automobile components, and integrate automation facilities such as robotic arms, unmanned vans, and automatic storage via the M2M technology to establish a highly efficient automated production line capable of producing one aluminum rim every four minutes. The functions of the automated production line include automatic loading and unloading, automatic workpiece distinguishing, automatic positioning, automatic machining, automatic flipping and cleaning, and online automatic measuring. To get more information of TMTS, please do not hesitate to check out TMBA’s website. By the way, Taiwan local exhibitors like Jiuh-Yeh Precision Machinery Co., Ltd., Vision Wide Tech Co., Ltd., Dowell-Tong Yi Machinery Inc., Earth-Chain Enterprise Co., Ltd., Honge Precision Industries Corp., and much more machine tools manufacturers will also attend this grand event. If you have any interest in these companies, welcome to visit their website.